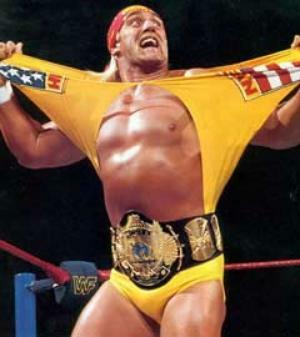 My Search For A New Hulk Hogan Entrance Theme!!! When Hulk Hogan first became a bad guy at WCW, I was very young. At the time I still didn’t know wrestling was fake and couldn’t handle my hero turning his back on me which forced me to stop watching wrestling for the 15 years following his heel turn. Of course as I grew older I realized that it was all entertainment, but still did not go back to watching the sport up until about a year ago. Something happened and I missed my childhood hero. I was informed that he was indeed still around and was on TNA every thursday night. 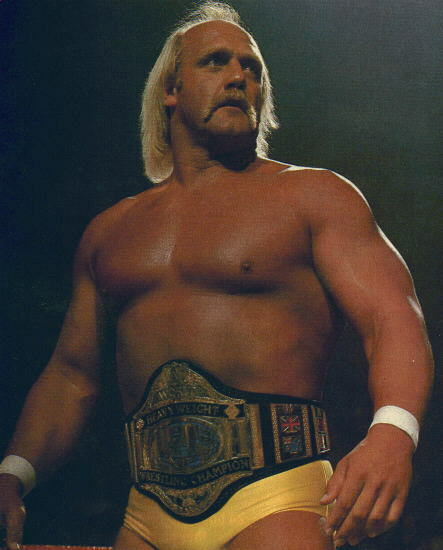 Bare in mind I have not paid attention to anything in the wrestling world for 15 years and was not yet aware of the Hulk’s return to WWF (yes WWF… I will never refer to it as anything else.) or his return to a good guy in the organization. So imagine how horrified I was when not only did I see him “still” a bad guy at TNA, but still coming out to that crappy NWO music!! So the months go bye, he is redeemed by Sting, back in the good old Yellow and Red, BUT WHAT THE HELL!?!? HE’S STILL COMING OUT TO THAT CRAPPY NWO MUSIC!!! 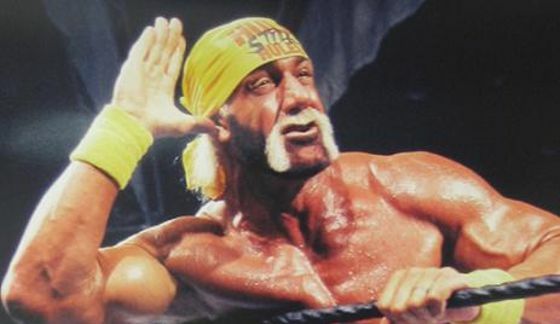 Now Hulk Hogan as a bad guy can get away with that, but coming out in the Yellow and Red (or a good guy in general no matter what colors) to the NWO music is very anti-climatic. It has no excitement or feeling!! When the Hulkster comes out into the arena all the Hulk-a-maniacs all over the world should be pumped and our hearts pounding knowing that our hero and the greatest wrestler to ever walk the planet is coming out to save the day!!! Now, I have compiled a list of what I believe are the top 5 best picks to be Hulk Hogan’s entrance theme when he enters the Impact Zone! Now of course “Real American” would be my number one pick, but I am assuming that Hulk can’t legally use it otherwise… well why wouldn’t he?